Some things draw a community together, and that’s exactly the case when the old Clarksville Tong Barn near El Dorado Hills stood in desperate need of urgent repairs. Straight Line Roofing and Construction, specialists in metal roof repair, gladly stepped up to the plate when some of the old barn’s steel roof panels were blown off during damaging storms in 2012, leaving its structural wooden supports vulnerable to the damaging effects of rain, wind, and sun. Installing corrugated metal patch panels bought some time until more elaborate repairs can be undertaken on the aging historic building. At present, all that’s left of the once-flourishing little town of Clarksville, just east of El Dorado Hills, are a few crumbling ruins of stone walls and wood-frame buildings. That wasn’t always the case, though. During the Gold Rush of the mid 1800’s, Clarksville – previously known as Clarkson Village – served as a stagecoach junction, enjoyed a post office, proudly boasted four fine hotels, a school, a tavern, and cozy wood-frame homes that housed workers, boarders, and business owners. Bypassed by the railroad in 1864 and then again from a re-routing of U.S. Highway 50 during the 1960’s, Clarksville drifted towards oblivion. Over time, it became the ghost town that it is today. “Gone but not forgotten,” is truly a phrase that accurately describes Clarksville today. The phrase was never truer than when the historic Tong Barn, and one-time Clarskville Union School, required metal roof repair to protect the building from further decay. Until more extensive preservation work takes place on Tong Barn, community members and lovers of history in the El Dorado Hills area turned to other business owners and civic-minded individuals in the area to help out with some stop-gap conservation action. During the 2012 storms, some of the old barn’s corrugated metal roof panels were torn away, exposing the once-protected roof beams and structural supports to the elements. Happy to assist and give back to a community that’s helped make us a success, an experienced team from Straight Line Roofing shouldered the job of patching the old roof and, ultimately, buying about five more years of protection. We also carefully marked and labeled the metal roof repair patch panels to aid in future renovation work on the barn’s roof. Straight Line Roofing and Construction specializes in metal roof repair in the El Dorado Hills area and are proud to have been an integral part of this community restoration effort. We are a full-service roofing company who puts their customers and community first . 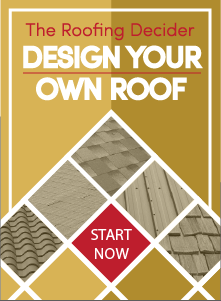 If you are in need of roof repair, contact us a Straight Line Roofing and Construction.